Being a researcher means multi-tasking; add reviewing papers into the mix and the juggling act grows more complex. Knowing which decisions to make – particularly around your career – can be tricky, and you want to develop your reviewing skills. 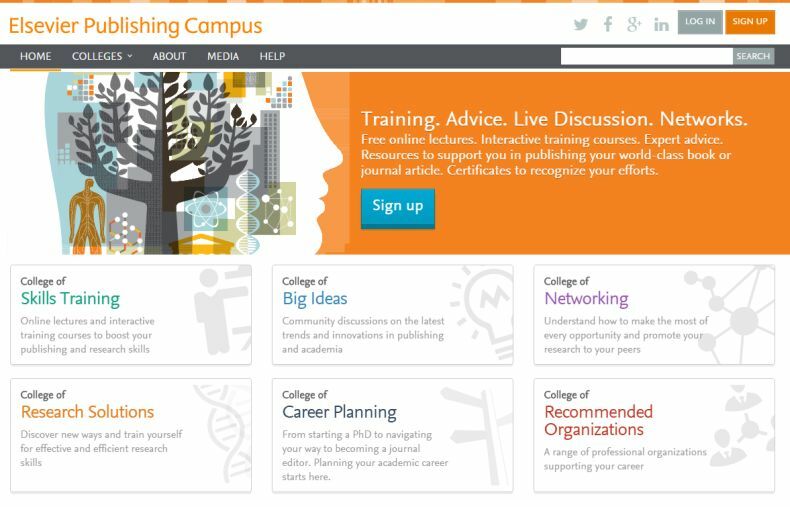 We are delighted to announce that Elsevier has now launched its Publishing Campus – an online training and advice center that gives you free access to lectures, interactive training and professional advice on a wide range of topics, from the fundamentals of publishing and grant writing to career guidance. It also tackles broader issues like gender in research and open science. Hannah Foreman, Head of Researcher Relations at Elsevier, is behind the project. She explained: “With the Elsevier Publishing Campus, we want to give researchers the skills and knowledge they need to publish a world class journal article or book proposal, write a successful grant application, understand the dynamics of a good review, and ultimately succeed on their chosen career path. The Campus is made up of a series of ‘Colleges’. Each College offers a variety of training, information and tools you can choose from to support your research and career development. 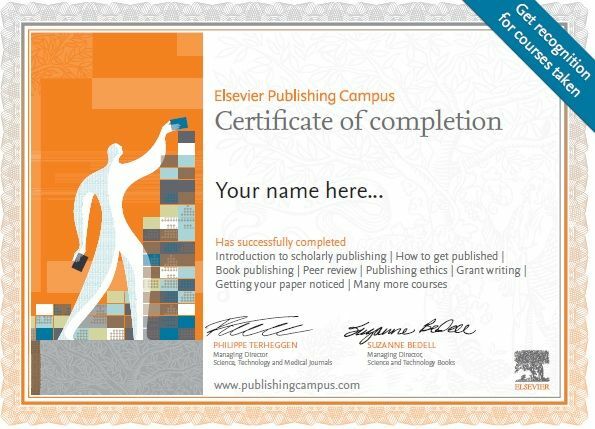 For every module or seminar completed, researchers will be awarded an Elsevier certificate in recognition of their efforts. The College of Skills Training is your first stop for learning and developing your reviewing skills. Here you can find in-depth training on how to review an article, with a host of online lectures and interactive courses on topics like peer review and ethics. There is a dedicated section on peer review - created in partnership with Sense about Science - which forms a sound basis for reviewers, and explains what journal editors expect from them as reviewers. You might visit the College of Research Solutions to gather tools to support your research, and the College of Big Ideas to get the latest perspectives on research. The College of Networking will help you make an impact and build the networks you need to take the next step in your publishing career, with advice on online and face-to-face networking, and advice on how to get noticed. Much of the content is based on the Publishing Connect training material which publishers and editors have successfully shared with 35,000+ researchers per year during face-to-face workshops. Hannah Foreman is Head of Researcher Relations for Elsevier. She joined Elsevier in 2007 as Marketing Communications Manager for journals in Physics and Astronomy. With more than 10 years' experience in communications and relations roles, she now leads a relations and engagement team in Amsterdam. This team focuses on delivering information innovatively and engaging proactively with researchers of Elsevier journals and books. She is also responsible for the Elsevier Publishing Campus – a project she began in 2013 with a cup of coffee, a muffin and a small idea. Hannah has a professional and academic background in European business and speaks four languages.